Now Only *Their* Michigan Vaccine Exemption Form is Allowed?! 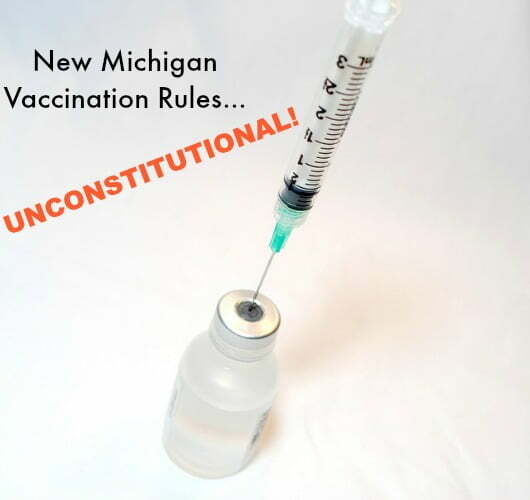 There are new rules in Michigan that will make it more difficult for those of us who do in-depth research and decide not to vaccinate our kids, or even if we don't want to vaccinate on their schedule. 2. The other issue is that now, in order to refuse vaccines, we would be required to “receive education on the risks of not receiving the vaccines being waived and the benefits of vaccination to the individual and the community.” The form of education must be approved by the local health department. Yeah, because we wouldn't want overeducated parents figuring out what is truly best for their own kids would we?! Katie from Kitchen Stewardship did the hard digging and has a lot more information for you in her post: Did the State Health Department Break the Law? The New Michigan Rules are Unconstitutional! Scroll down for the information from Alan on these new Michigan rules. There you'll also find information on past cases to use for evidence that the law does not require you to sign their form or partake in their ‘education'. 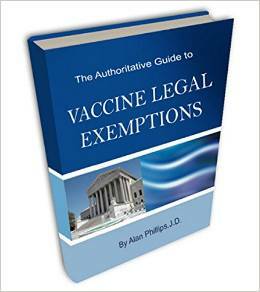 Get Alan's book here: The Authoritative Guide to Vaccine Legal Exemptions. Katie tells us that we in Michigan should be grateful that we have philosophical exemptions to required vaccinations as we are one of only 20 states that do, so this new rule is a better alternative than the state simply stripping it down to only medical exemptions or medical and religious exemptions allowed. I'm just feeling ticked off that they think they can strip us of our parental rights once again, instead of letting us choose what is best for our families. However, part of me is feeling very grateful right now that we homeschool, but I know I'm not done dealing with this issue. Just the other day I had to dig up our vaccine forms on one of our kids to sign her up for summer camp. Unfortunately we didn't know better when she was at the age for shots, so we blindly did what our doctor said it was time to do. 🙁 Our youngest was another story, though, and we'll probably come up against various roadblocks as he grows up. Click here for all my vaccine posts where I tell about our decisions with him. You can always call or write your legislators directly, asking them to initiate action to remove the rule put in place by the state health department (R 325.176 of the Michigan Administrative Code) in December of 2014. Contact information for state senators and representatives is available online (Google it). Many are just being sworn in to state office for the first time, so they might need some education on what you're even talking about! Keep in mind that what you're asking is not to enter debate on whether vaccines are necessary, effective, or anything else – just that (a) the health department did not invite public comment and should, and (b) parents should retain the right to be exempt from mandatory vaccinations. Did you see the recent story where a 17 year old girl was taken from her Mom and forced to have chemo against their wishes?! Not that long ago Jacob Stieler's case made big news around here. His family had to fight for their rights to make his medical decisions, too. Click here to read all the posts about Jacob Stieler — start at the bottom for the beginning. Here are all my parental rights posts in one spot. Sadly, there are many. The issue of forced workplace vaccination isn't a parental rights issue, but it certainly violates our rights when people are given the choice to be vaccinated or lose their jobs! Mandatory Vaccines for Healthcare Workers: How to Refuse Mandatory Vaccines and Not Get Fired. Remember my friend Jill and her husband David told their story in this post, Mandatory Flu Vaccines for Healthcare Workers – Why One Man Is Choosing the Mask? 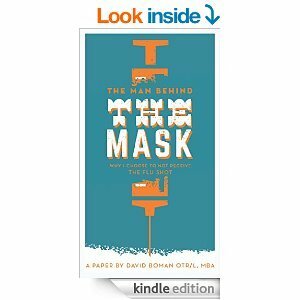 Well David wrote a BOOK about his experience and all he's learned (and what a stinking SCAM flu shots are): The Man Behind the Mask. Click here for all my vaccine posts, including how we made our decisions on what shots to let our kids have and which ones we refused, how it went when I spoke with our doc about all this, what happened when the school got into the mix, and lots more there, too. As always, remember my disclaimer: I am not a medical professional and nothing in this post should be taken as medical (or legal!) advice. See my entire disclosure blurb here. Note: This document is not to be construed as offering legal advice. construction of an unambiguous statute is neither required nor permitted.” Id. at 524.
required to use the DCH form or view educational materials. from being compelled to speak. See, e.g., Wooley v. Maynard, 430 U.S. 705 (1977). those parents, but to the First Amendment. control of their children, see, e. g., Stanley v. Illinois, 405 U.S. 645, 651.
state to the contrary notwithstanding.” U.S. CONST. art. VI, § 2, cl. 2.
e. g., Reno v. Flores, 507 U.S. 292, 304.
but such showing is necessarily one that must be addressed on a case-by-case basis. unconstitutional and must be removed. information is made available, and parents given the right to make informed choices. Displaying 12-18-14 MI Constitutional Summary.docx. Kelly, the way I see it is this: When CPS comes knocking on your door take take your kids away (for whatever reason they come up with), they can use this form as your signed written confession that “you acknowledge that you are placing your child and others at risk.” This is a means to a bigger agenda. But that opens a whole new can of worms when you’re talking about CPS and their ties with adoption services, drug company trials, etc. There is such a dark, evil side of the State/government… I honestly lose sleep over it. A one word description for what you wrote is TYRANNY. By putting that statement in the exemption form, they are inadvertently admitting that vaccinations DO NOT WORK. Otherwise if your child is the only one not vaccinated others are not at risk because others are protected from whatever illness your child might get because others are vaccinated. you can cite a few vaccine injury cases that show that vaccinating can be as dangerous or more so than not vaccinating, and that every child with a healthy immune system has natural protection against most viruses. This is starting to get aggravating! I was watching a segment on the news yesterday. Some Dr. from the dept of health was talking about how this year’s flu shot wasn’t effective against the flu that is circulating. Then he said that getting the vaccine will still offer you some protection, not getting the vaccine gives you no protection against the flu at all. That is a blatant lie….people do have natural immunity and that statement completely ignores your body’s natural defense system. More keeps coming out about how ineffective the flu vaccine is, but whether it’s on the radio or in print, every time there’s always someone saying how they are still recommending that people get it, as if there are no risks!!!!! It makes me NUTS.